1 1/2 inch BSP female / 90 degree elbow / 1 1/2 inch (40mm) hosetail. 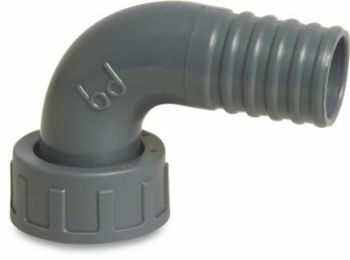 Ideal for connecting hose to a Filter, UV Clarifier or Pond Pump. Ideal for use on the Bitron 18 and Bitron 24 UV Clarifier inlet.